Don’t you hate receiving useless gifts that only collect dust on your shelves and make cleaning home longer and longer? Here is a list of some quirky kitchen gadgets to put on your wish list, so your relatives and friends will be restrained from getting you something ridiculous again. Get civilized – prevent your meal from “swimming” in a sauce! It is time for replacing this animal habit with a colorful set of 4 cute mini-bawls for all of your guacamole, salsa, fancy dressings and dips. Portion control is very important! 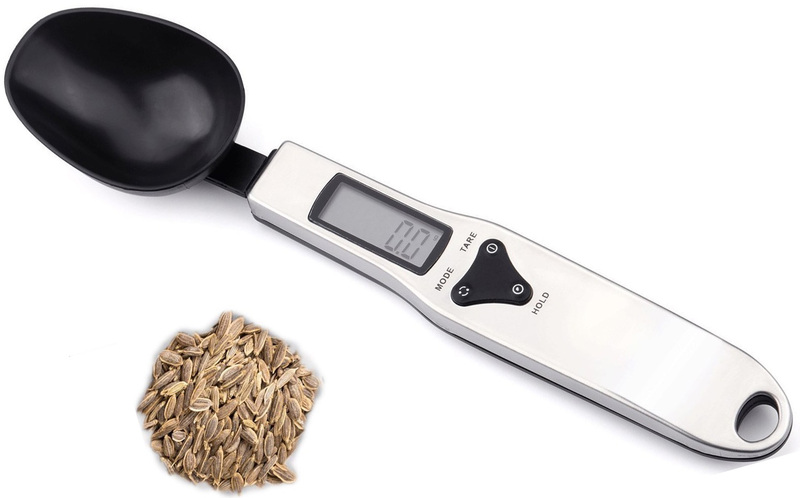 Now you can easily have dinner conversations with only 73% full mouth, for example 🙂 This spoon also can be used as a regular scale for measuring weight from 0.1g to 500g. For US customers that are not familiar with an extremely confusing metric system, there is a built-in conversion algorithm from grams to ounces. Bring some color and drama into your boring kitchen environment! 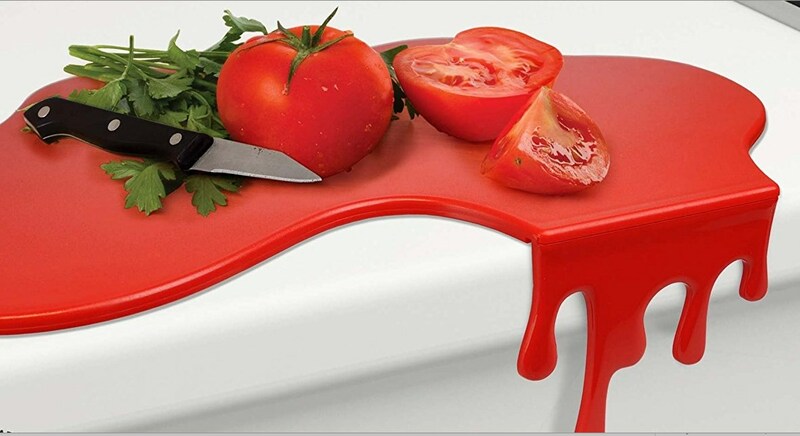 This cutting board will remind you to be careful when doing knife work. The drip feature has a secondary function – it keeps the board secure against your worktop and removable for easy cleaning. Stay safe and have cooking fun! 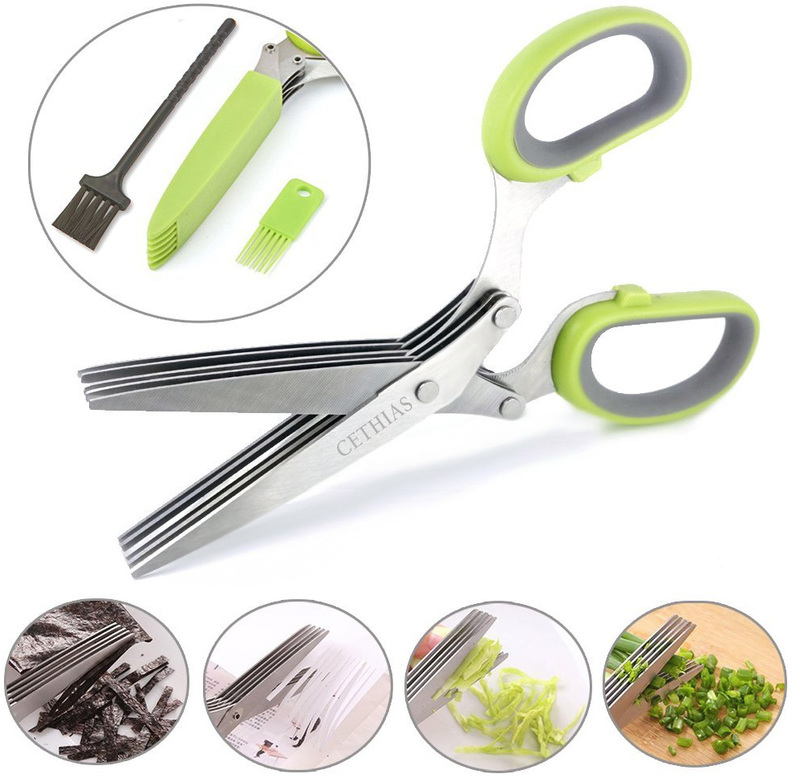 If you don’t have these stylish 5-blade scissors it can mean only one thing – you don’t eat enough greens! Snip cilantro, green onions, thyme, sage, oregano, chives, and mint on your dishes to have a unique taste that will make it a course bursting with aroma. Adding these natural ingredients will provide a lot of difference in the taste of your dish. Get everything Nessie you could ever desire. 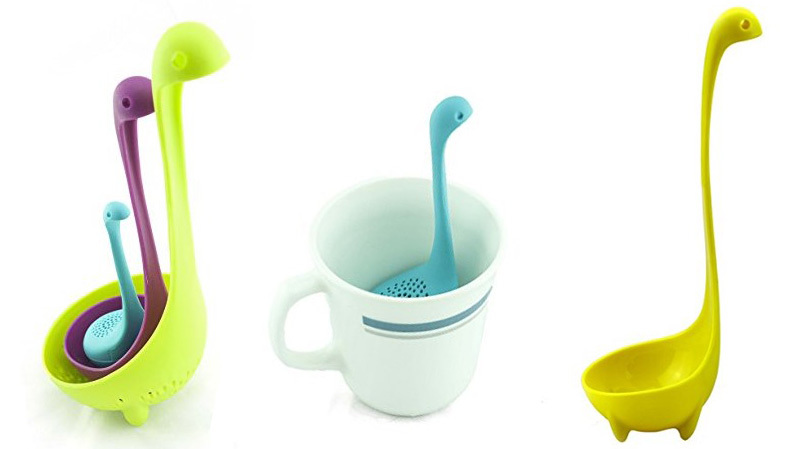 Our set includes one green Daddy Nessie Ladle Colander, one pink Mommy Nessie Spoon, and one blue Baby Nessie Tea Infuser. Nessie family set sits nested together. Each monster stands on stubby legs in your coffee, soup, gravy, and more! Dishwasher safe, just do not microwave. Save to use when cooking or in hot drinks! Perfect for potatoes, carrots, beets, broccoli and more. This flexible scrubber will follow the contours of the vegetable while the sturdy nubs dislodge dirt in nooks and crannies. Really nice package of 2 Hands-Free Baggy Rack Storage Bag Holders. Fill the bag with filtered water and use as a poor-man version of an aquarium for your precious goldfish:) …or designate it for collecting fruit and veggie peels in case you are into composting. Be creative! 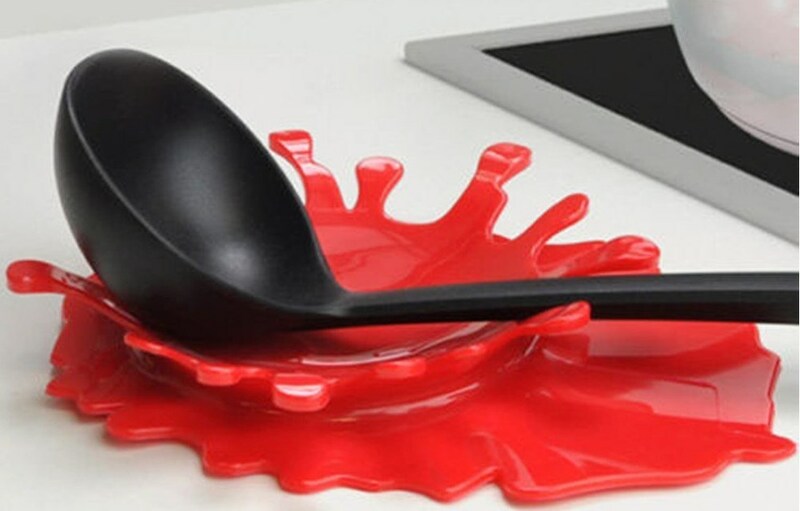 Brighten your kitchen or bathroom with this a special present – “spilled ketchup” utensil or soap holder. Perfect for placing small earrings, bracelets, rings and other small items. This works wonderfully as a steam releaser so pots don’t boil over. 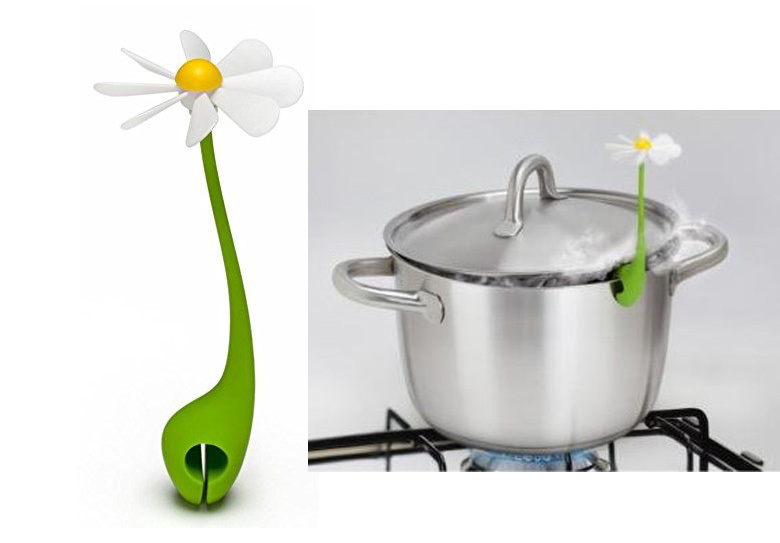 We really like the cuteness factor- watching the flower spin with the rising steam… Ahhh… You can do it for hours. In some ways more fun than cable TV. Truly a Swiss knife of the kitchen – Organic Wizzard kitchen tool lets you cut, slice, peel, dice, chop, open bottles, and carve. Save space, money and time in your kitchen with this Brand New Amazing Gadget. Makes slicing up to 8 uniform layers a “piece of cake”; professional looking results.This adjustable mousse saves time and labor. Ideal for make round cake, easy to expand or shrink ring size, you can make a cake with a different size you want. Organize your cabinets and pantry with this wire rack. Store plastic and foil kitchen wraps, wax paper, sandwich bags and much more. Holds up to 10 lbs. Made of sturdy metal coated wire. Want to let off some steam? “Lid Sid” dives in to keep the situation from boiling over. 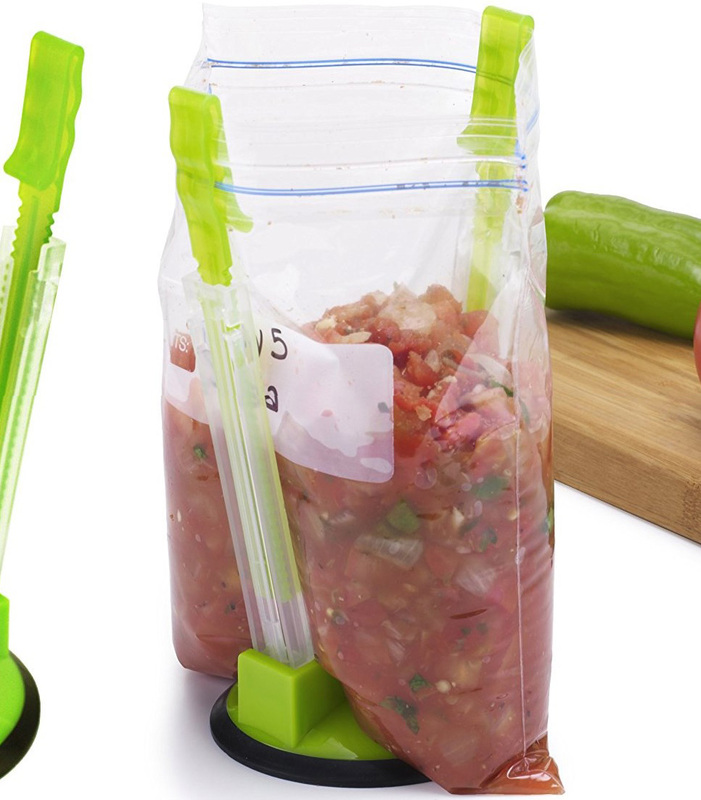 This sophisticated and cute kitchen gadget provides the opening you need. “Lid Sid” is infinitely reusable and patient. The perfect man around the kitchen: Useful, always ready, never complains. Makes a great funny gift for the cook of the house that has everything – up until now! 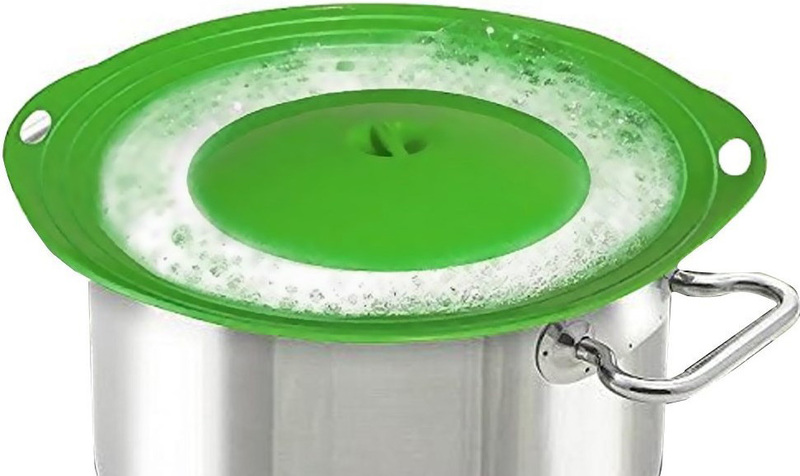 This beautiful green lid will prevent boil over from your cooking with pots and pans. 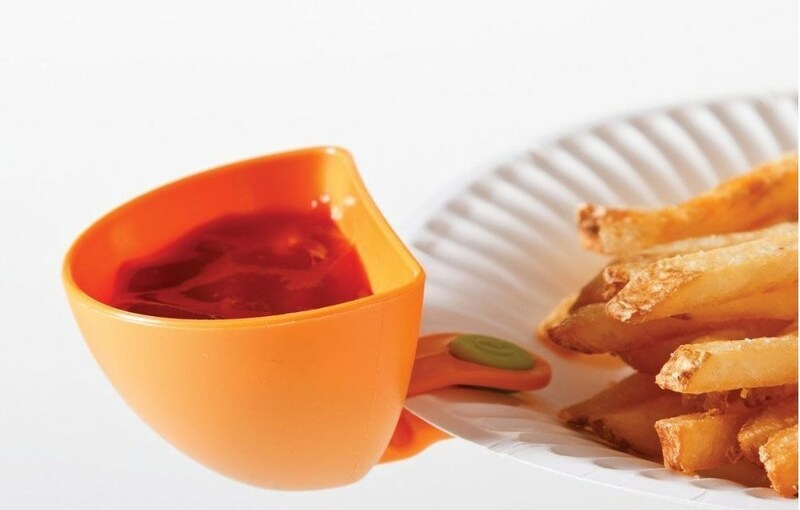 Silicone Lid Stopper is made of finest BPA-free silicone which is supposed to be and toxin-free and environment-friendly. It is soft, durable, reusable, flexible, and will last for a long time. 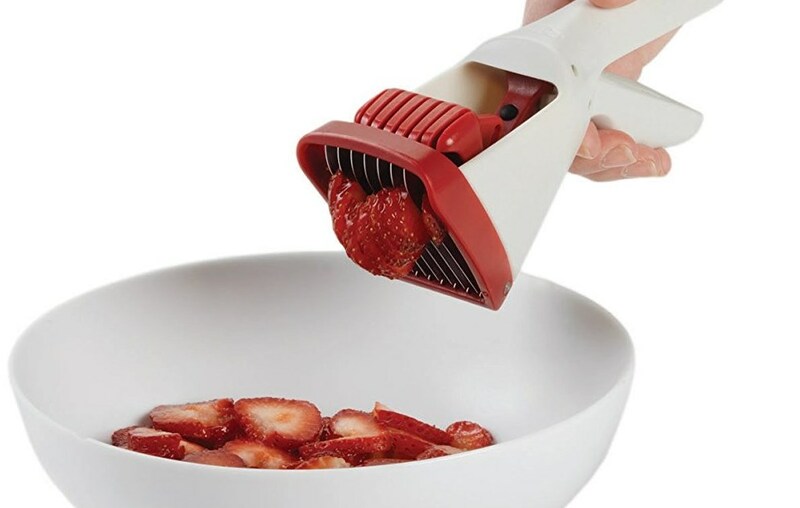 For those of us who are on a strict strawberries diet, this kitchen gadget is a must! Kids can use it without any fear of cutting themselves. Keep your kitchen safe! 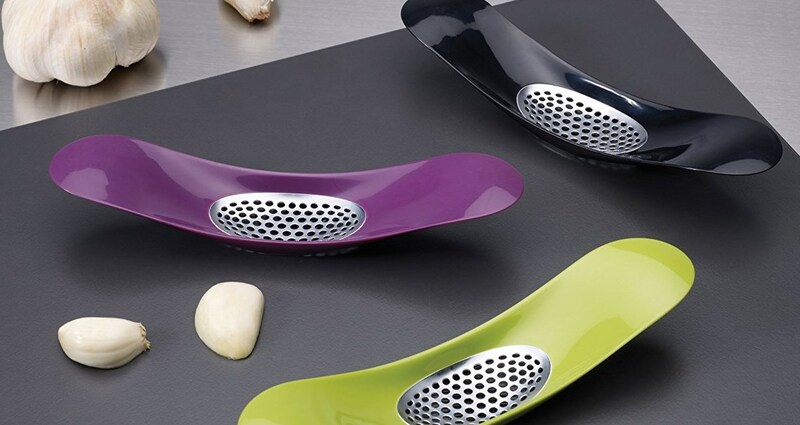 Even if you don’t eat a lot of garlic this stylish set is asking to be a part of your kitchen. Just looking at these curves shapes and will bring balance and peace to your hectic life. To use apply downward pressure and rock crusher over garlic. No reason to risk cutting fingers with a knife when you have The Garlic Chop. Designed not only for garlic but a wide range of other roots or veggies like carrots, onions, peppers, ginger, etc. Best gift idea for your family or your friends. 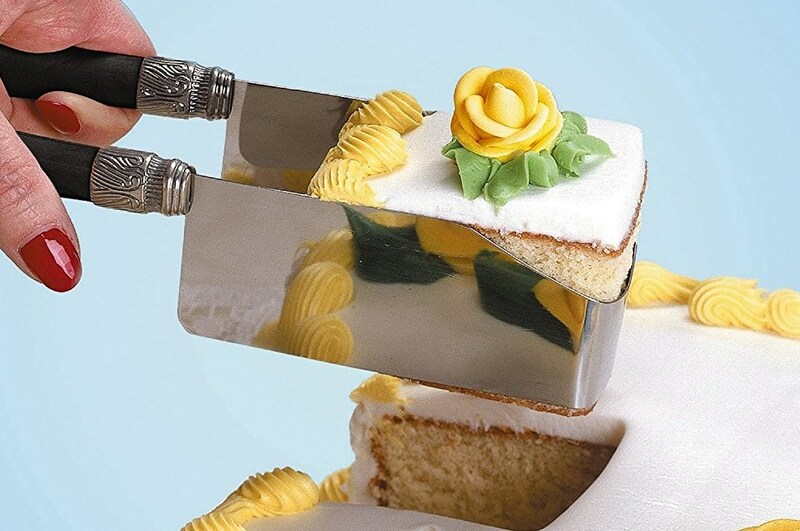 This useful and cool kitchen gadget keeps away your fingers from the sharp knife. 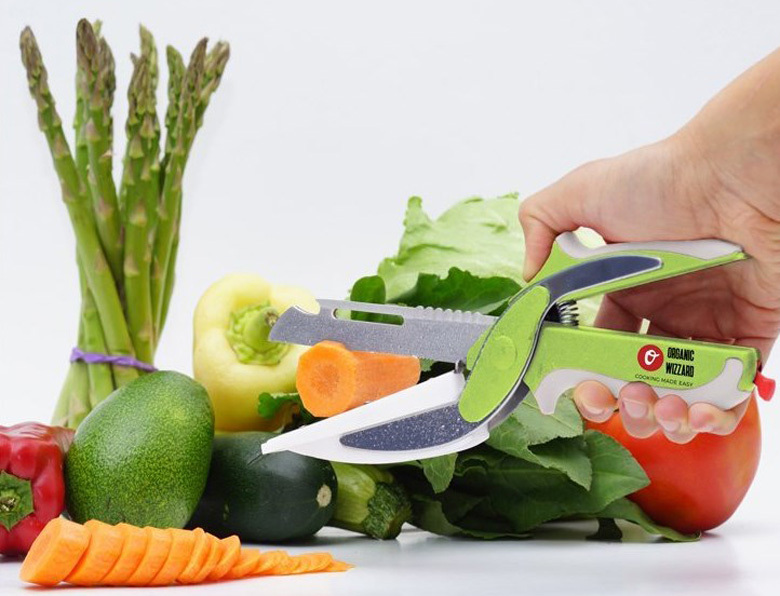 Now kids can safely help you with cutting veggies for their favorite salads! Easy to clean and wash. Tired of cutting veggies? Try to comb your hair with it. 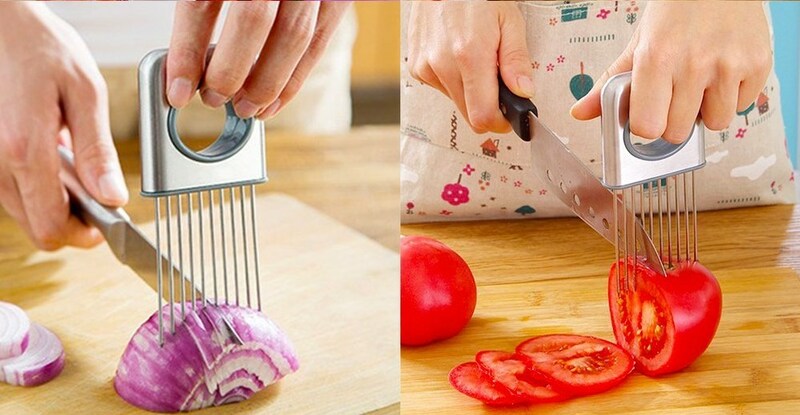 Another “Must Have” kitchen gadget for those of us who watch TV while chopping vegetables for a salad. This finger guard fits onto the middle finger, giving all fingers so much needed protection. It can even work for a left-handed person!